AARP is working to ensure you have a brighter and more secure financial future. We’re fighting to protect the Social Security benefits you’ve earned, and pushing for programs that will help all American workers grow retirement savings so they can take control of their futures. We’re also providing free tools and resources to help you plan, work and save for retirement. 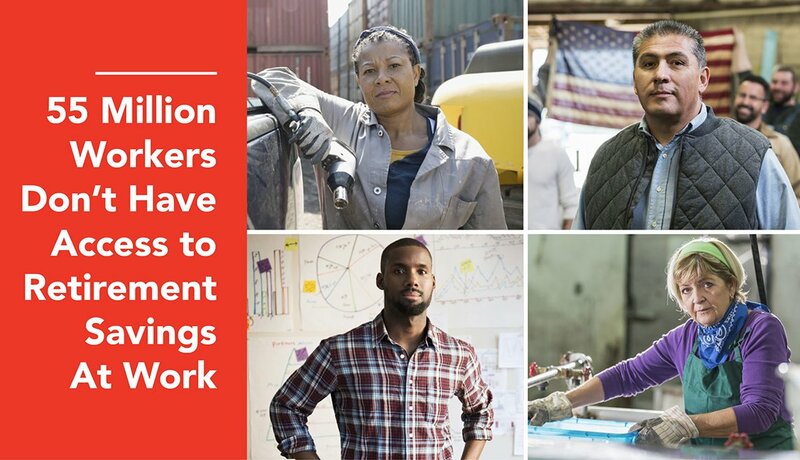 Across the country, AARP is pushing for Work and Save programs, sometimes called Secure Choice, that provides an easy pathway for workers to grow retirement savings so they can deal with the rising cost of health care/basic needs, and take control of their futures. Last year, Oregon became the first state to implement a Work and Save program making it easier for workers to save on the job. Learn more about what’s happening in your state at aarp.org/states. Receive e-mail action alerts on the issues you care about and the latest news on Congress and the White House.